Another can of worms would be light fixtures. I’m not quite sure I’m ready to jump into that one just yet. 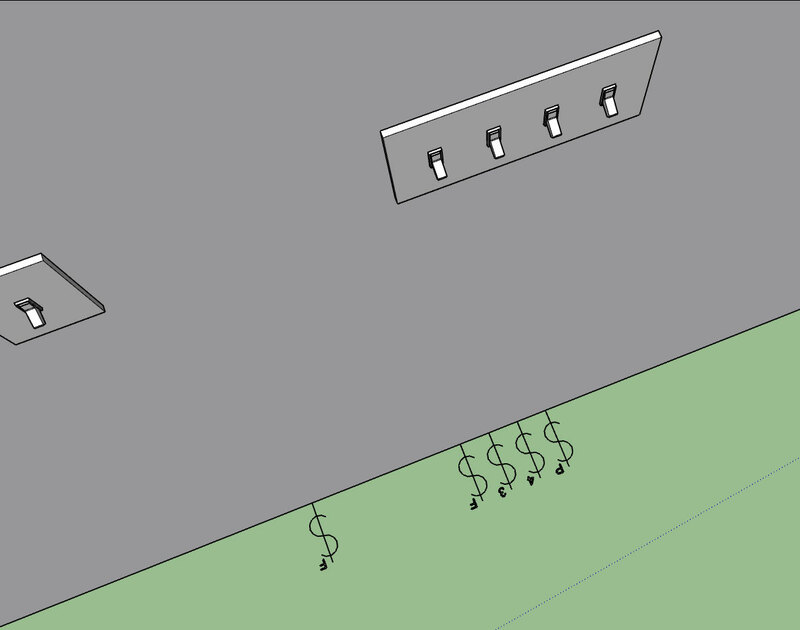 There are so many variations on light fixtures that I would certainly need to make it so the user can create their own light fixture components that then can be used by the plugin. Hit me up with any suggestions while my focus is on this plugin. In about a week I’m back onto the Wall Plugin and its massive todo list. I think you need only to do a ceiling light box and recess cans. The user can put their own light fixtures. Also with the ceiling box they can put their ceiling fans. 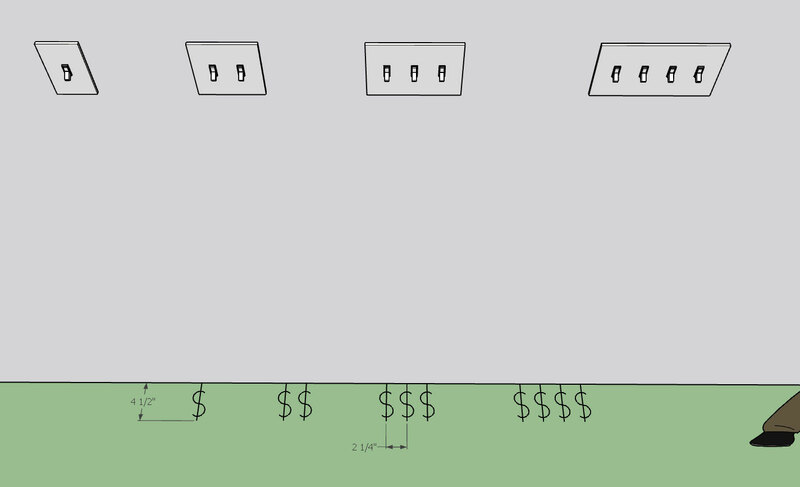 We will also need wall boxes for lights over vanities. With weatherproof switches I will need to have a different faceplate but for now it will default to the generic toggle switch. 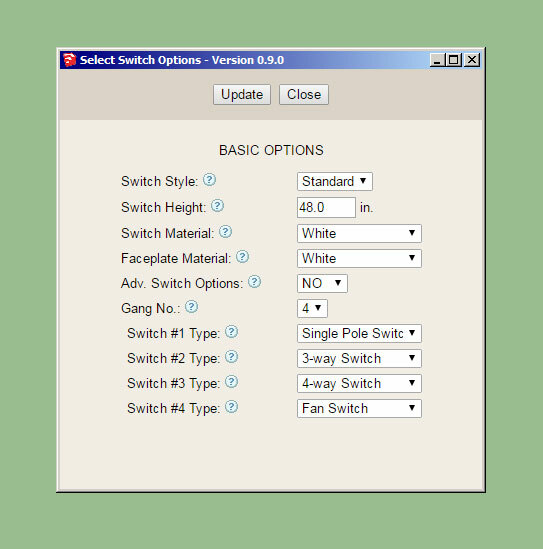 Tomorrow I will spend a few minutes and model up a low poly version of the Leviton Decora switch and outlet series and then we will have at least two options for switch and outlet styles. 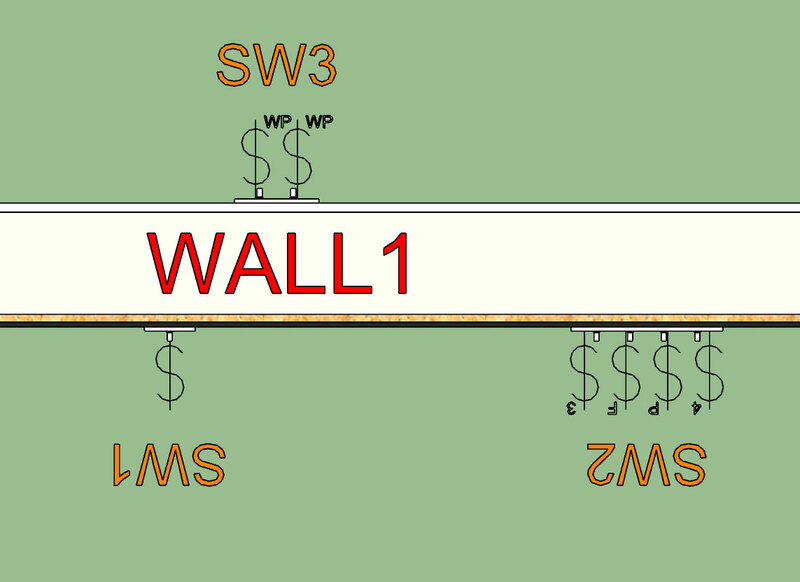 Similar to the Wall Plugin the labels are assigned by default to the Dim3 layer and can be toggled separately from the symbols, or be turned off completely in the global settings. With wall boxes what are the most commonly used types? I’m thinking Carlon boxes. Carlon is certainly the most commonly used plastic boxes and most likely used residentially. For steel boxes Raco and Steel City have about equal market share in the US. Here’s a small monkey wrench for you: I’ve seen small bathrooms where there are switches (light, exhaust fan) and GFI receptacles in the same box.